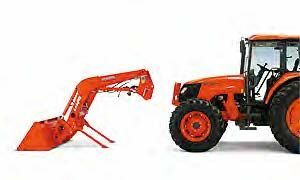 Lifting Power and Height Adjustments - Two separate boom cylinder fulcrum points (Power position and Height position) give you the option to increase the loader’s lifting power or height based on your needs. 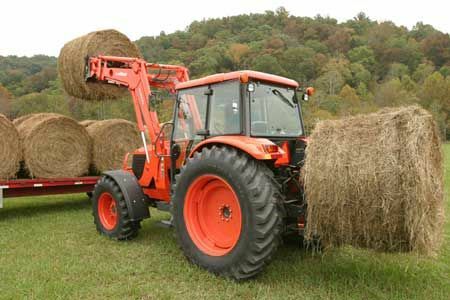 When using the pallet fork or bale spear you may want to set the fulcrum to give you more height. 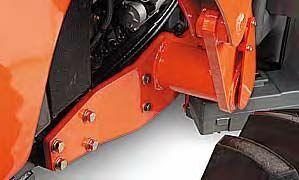 For bucket work, a lower setting offers more power. 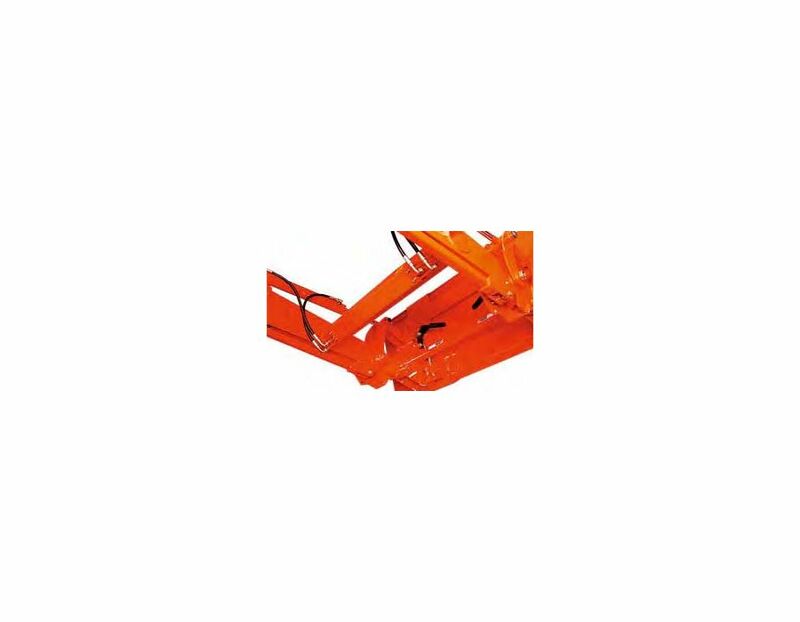 Frame Design - The loader’s thick steel frame has been simplified by removing braces and connectors. 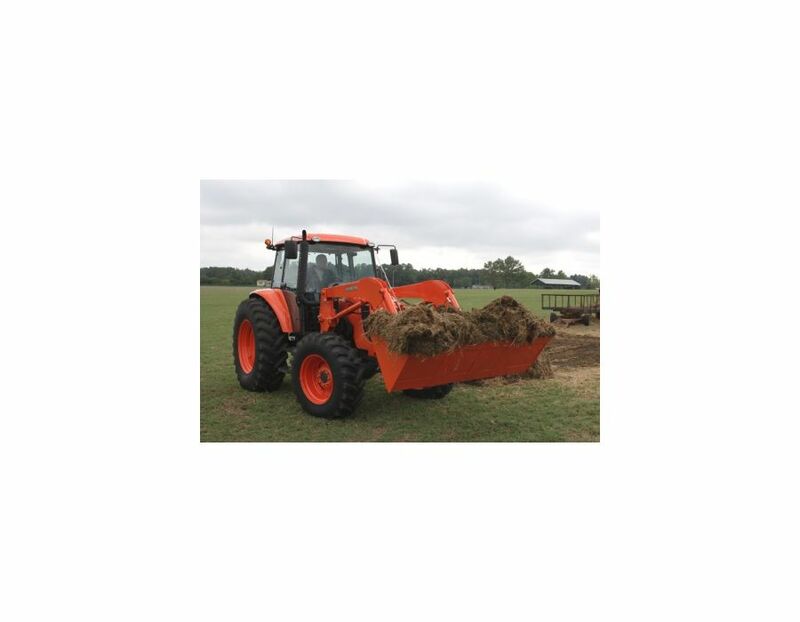 This redesign reduces the effort and time it takes to attach the loader and offers increased visibility. 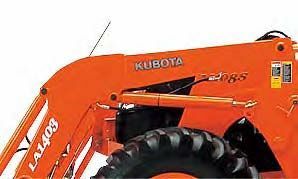 Kubota Shockless Ride (KSR) - The KSR helps to minimize fatigue by “smoothing out” the ride of the tractor. 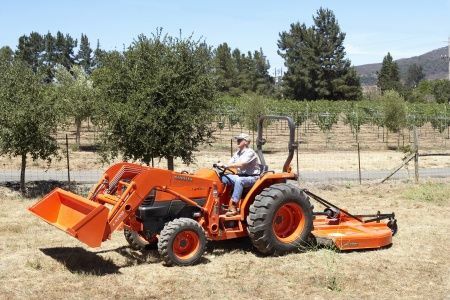 This feature is particularly useful when your tasks include a lot of tight turns or lifting and dumping of heavy loads. 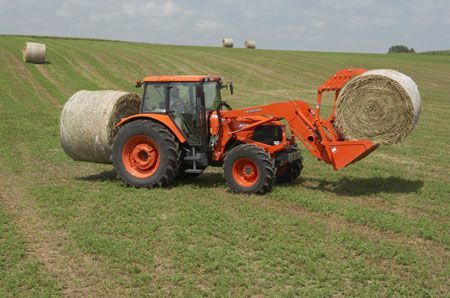 It makes handling round bales far less jarring. 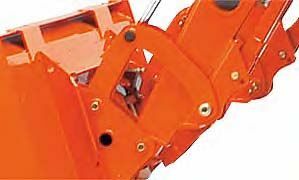 Hydraulic Self-Leveling Valve - This optional feature allows the operator to raise or lower the loader boom without changing the angle of the bucket. 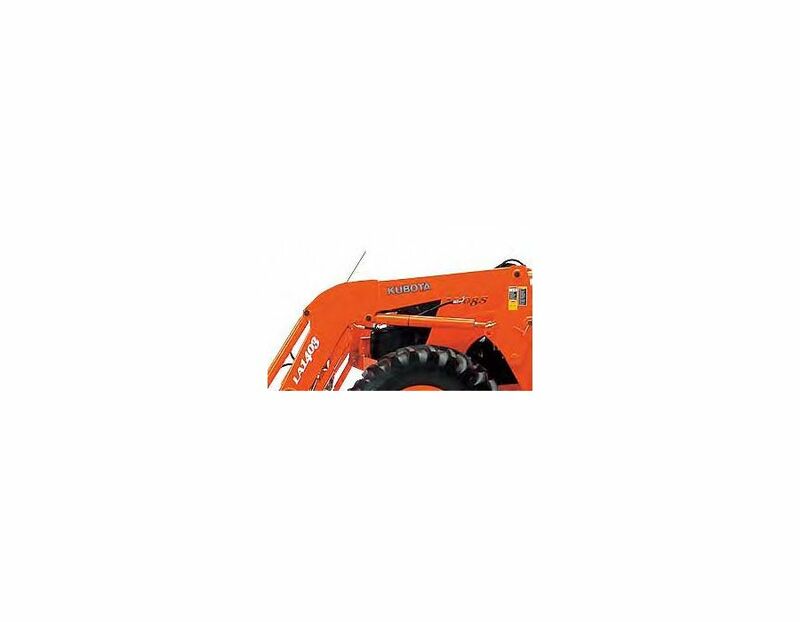 This will help prevent spills when carrying soil or sand and will make pallet handling smooth and easy. 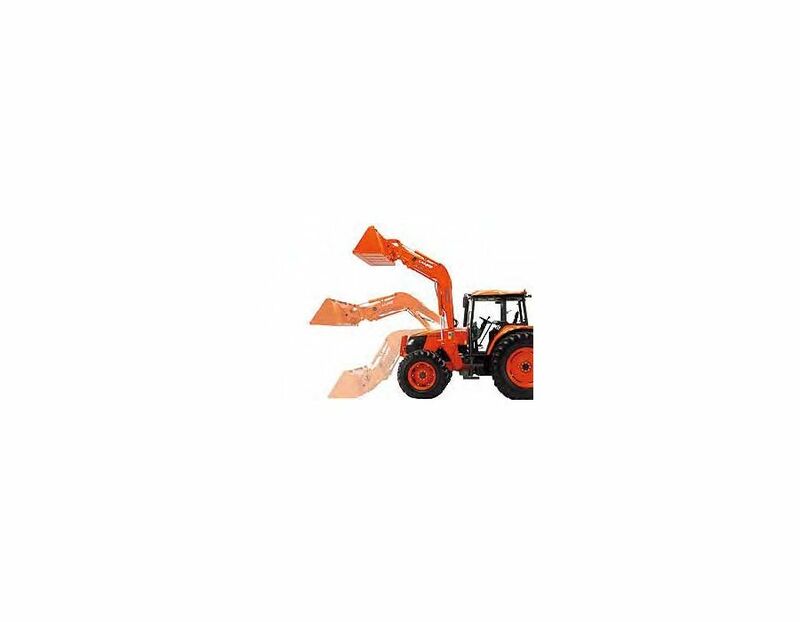 Protected Cylinder Tubes - To protect the tractor’s hydraulics and offer the operator greater visibility, we’ve neatly tucked the hydraulic tubes inside the loader’s boom. 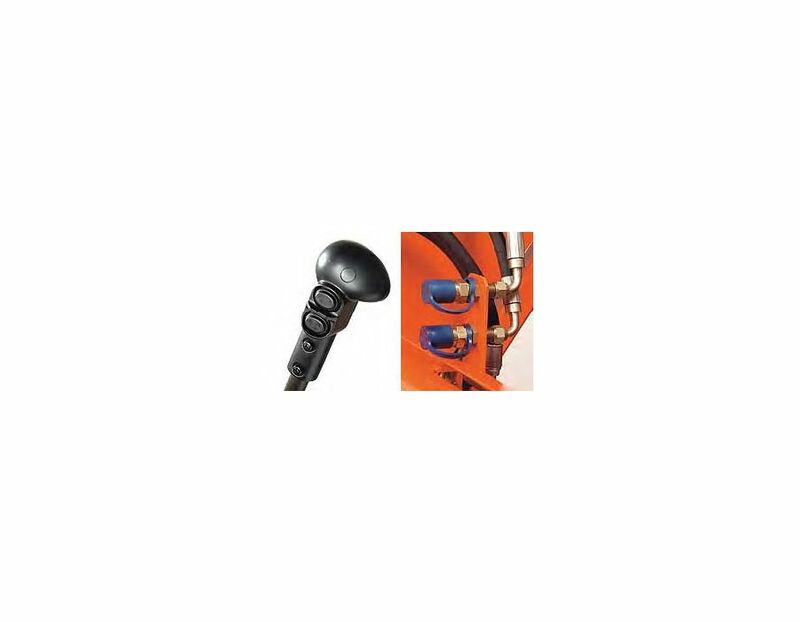 Hydraulic tube covers provide further protection from wear and tear. 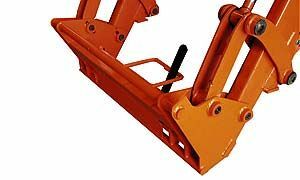 Quick-Mount Attach/Detach - Attach or detach the front loader with ease and without the use of tools. 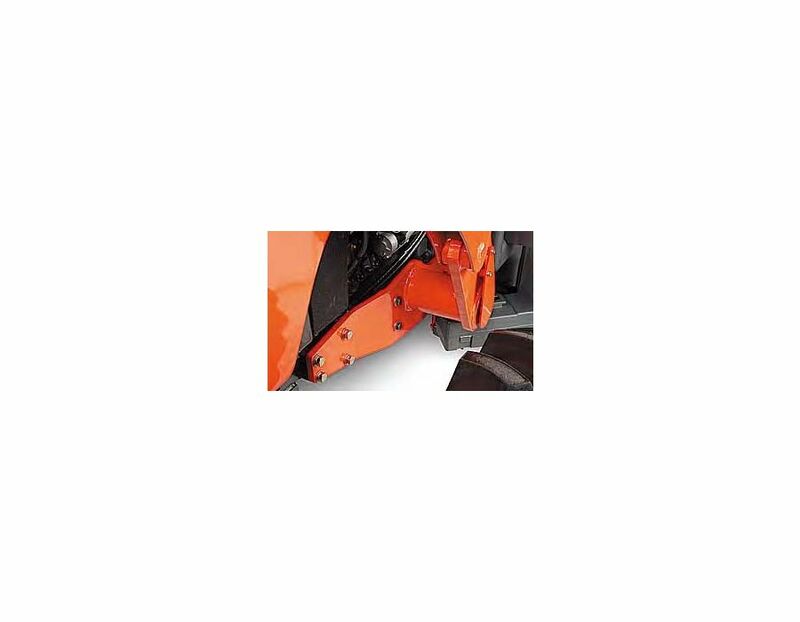 Simply utilize the boom stand and mounting pins to quickly ready your tractor for its next job. 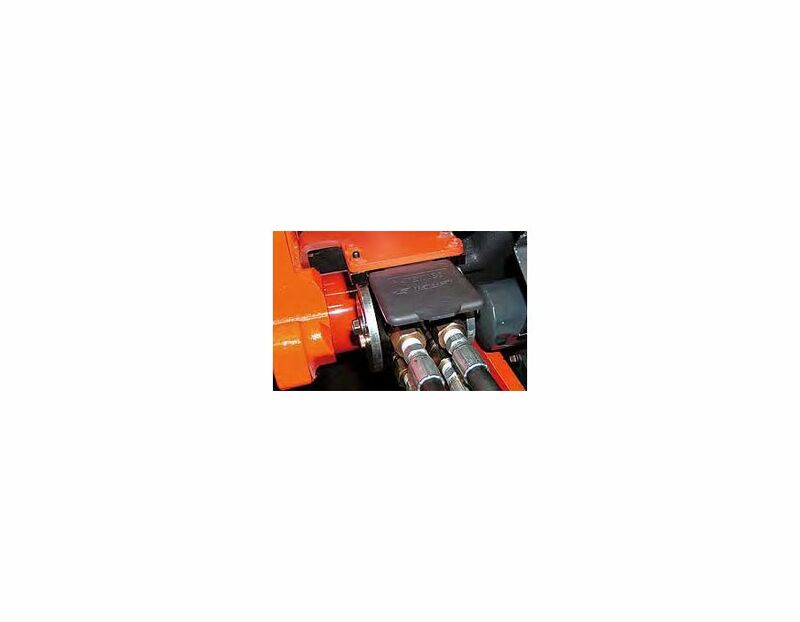 A single-lever Hydraulic Quick Coupler (optional), available for the loader’s hydraulic fittings, allows you to release all four lines at once. Rubber Caps - Rubber caps help to prevent grease drips, keeping the operator’s clothes clean. 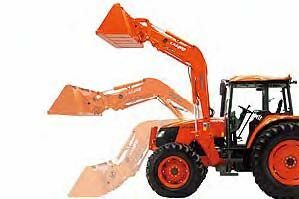 They also give the loader a more appealing look. 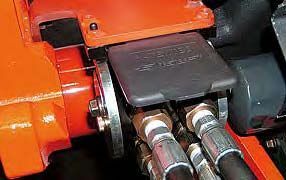 Single-Lever Hydraulic Quick Coupler - The optional quick coupler allows the operator to attach all four hoses at once. 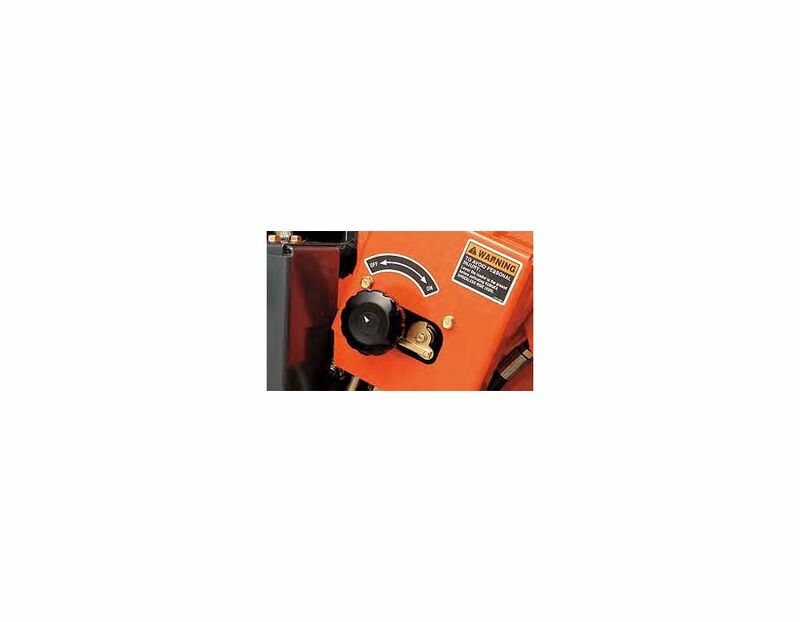 This makes attaching and detaching fast and easy, even when you’re doing it often. 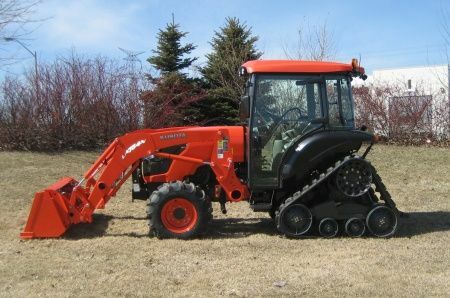 3rd Function Valve - Operated with buttons located on the grip of the joystick, the 3rd function valve broadens the capability of the front loader. 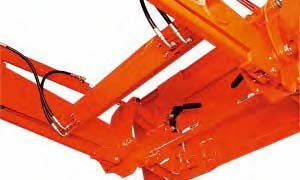 It also enables the simultaneous operation of the bucket and loader boom, allowing smooth and easy operation. 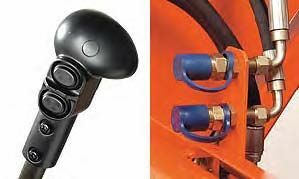 Joystick Control - The joystick offers you the ability to control the movement and speed of the loader with a single lever. 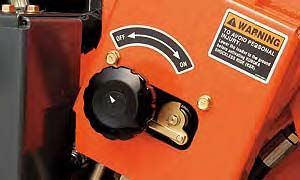 The joystick tower also adjusts vertically, towards or away from the operator, and locks in place. 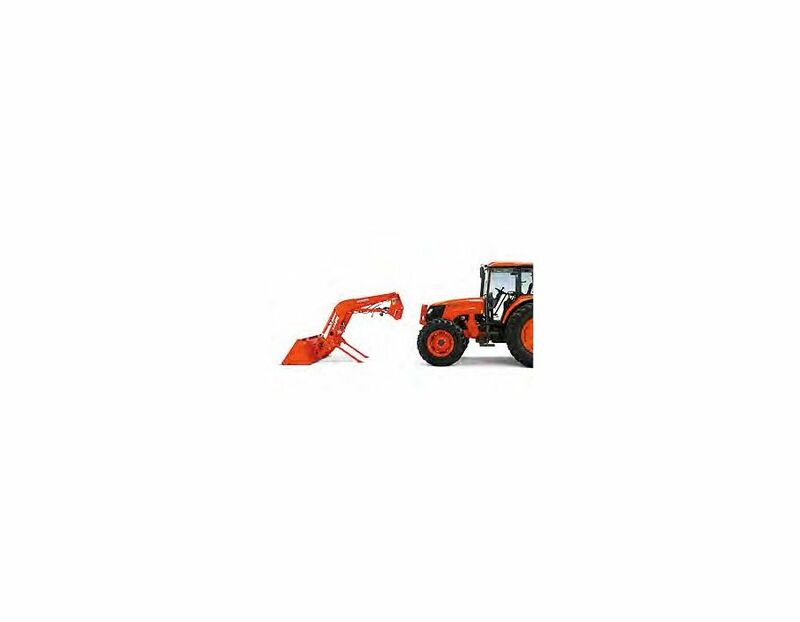 This allows you to easily find your best working position. 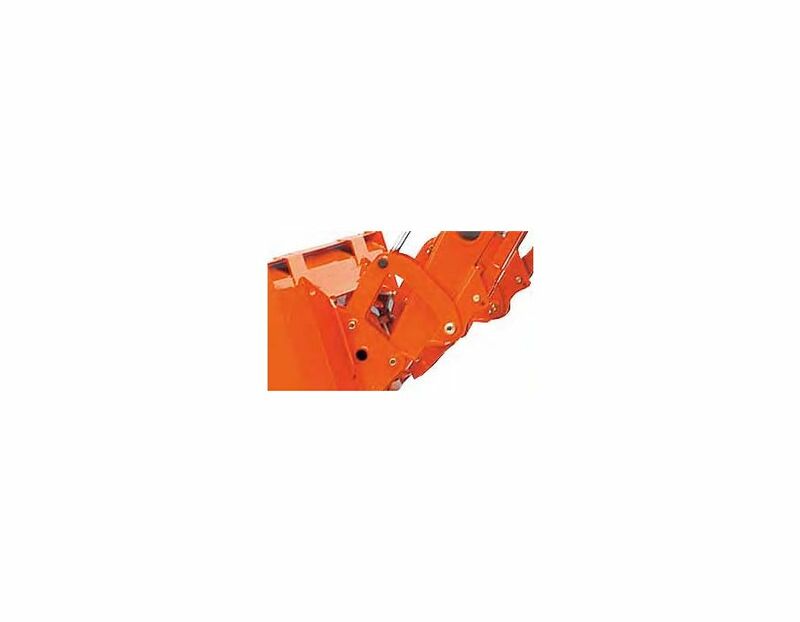 The Series Circuit makes simultaneous boom and bucket operation possible, while the Regenerative Bucket Dump Circuit enables quick dumping for efficient operation with quick cycle times. 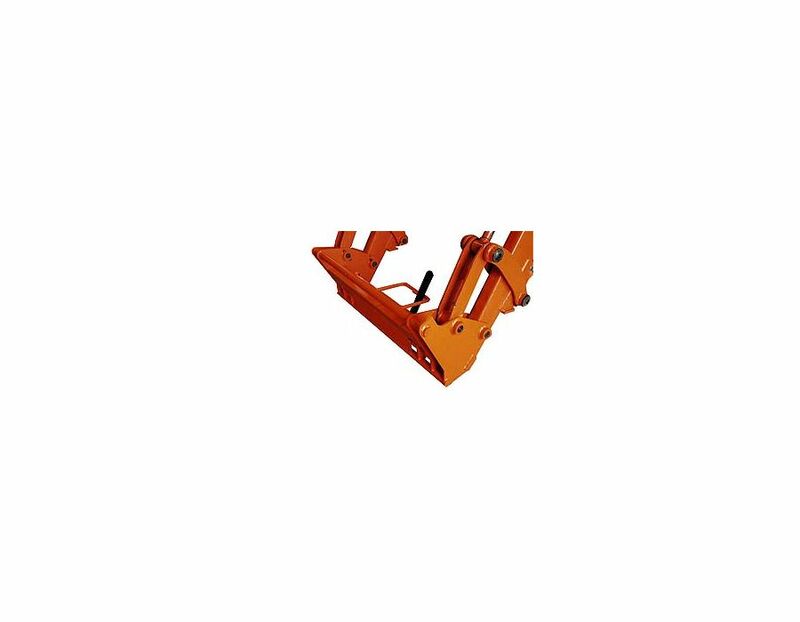 Euro-Type Quick Hitch - A standard feature on the M96S and M108S loader, this coupler makes attaching and detaching buckets, bale spears and pallet forks as easy as can be. 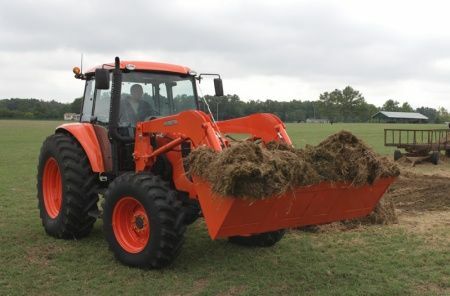 The LA1403E Kubota Loader is available at Kooy Brothers, located at 1919 Wilson Ave., Toronto, Ontario.